If you simply top off your pet’s water dish, you could be creating a monster that will attack your pet from the inside out. 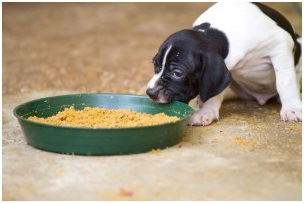 Many of us are guilty of simply refilling the water bowl when it gets close to empty, but the water that sits around will form a slimy residue that hosts dangerous bacteria and fungus that can begin to grow. 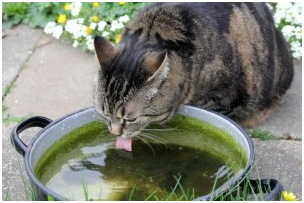 Some pet guardians may not even notice that their pet will start shying away from a dirty water bowl and become mildly dehydrated or, worse yet, seek water from unsafe areas indoors or out. And what about the food dish? No, licking the bowl ‘clean’ isn’t a possibility. Please be kind. Food and water dishes should be made from stainless steel, heavy glass or ceramic and should be washed daily. Plastic dishes may contain a hazardous substance called BPA which leaches into your pet’s water and is a known carcinogen. This can break down further in the dishwasher. 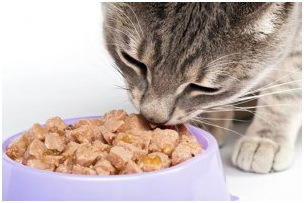 Plastics also absorbs odors and become unpleasant to a pet’s sensitive sense of smell. If you have bowls that are already beyond salvaging, why not start fresh with a new set of bowls and choose from one of these easy daily washing techniques. Run them through the hottest cycle of the dishwasher to get them really clean and sterilized. Wash and thoroughly rinse with dish detergent and a clean abrasive sponge to release all organic material from the sides of the bowls. Try scrubbing with a mix of equal parts baking soda, salt and warm water.